Nissan has shown reliability in the auto industry. The company has a reputation for designing long-lasting vehicles. 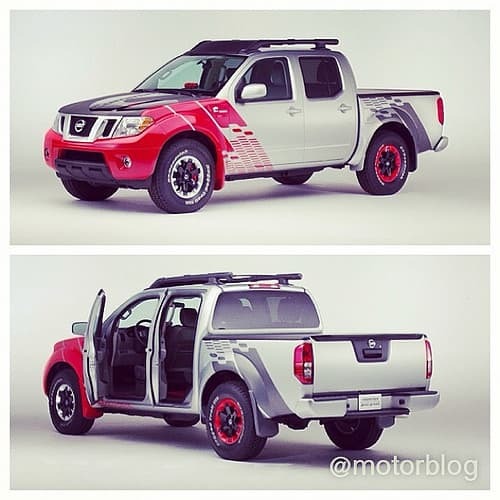 Nissan’s Frontier offers a wide array of interesting and useful mid-size truck design concepts. Now the automakers are poised to release a Diesel version to the general public. Other car manufacturers are getting into the diesel truck game. Chevy and GMC will both offer an optional DuraMax 2.8-liter turbo diesel engine for their mid-sized 2016 models. Nissan has already committed to installing a Cummins 5.0-liter V-8 turbo diesel in their redesigned 2016 Titan full-sized model. It only makes sense for them to match that, and the competition, by doing the same for their new Frontier mid-sized trucks. Nissan showed their new Frontier at the recent 2014 Chicago Auto Show. Nissan’s Frontier, if equipped with a 2.8-liter Cummins turbo-diesel engine, would run at about 200 horsepower with 350 lbs. / ft. of torque. Nissan figures an estimated return of 35 percent greater fuel economy, about 26 miles per gallon (potentially 32 miles per gallon on the highway) compared to 18 miles per gallon in the current 2-wheel drive v-6 engine. While the turbo diesel is likely heavier than their all aluminum 4.0 liter v-6 gas engines, the Frontier itself is about 1000 pounds lighter than the Titan. It’s looking like putting the Cummins Diesel in the Nissan Frontier will give it torque equivalent to that of a 5.6-liter v8 gasoline engine. Offering the same range of payload and capacity while giving back around 35 percent greater fuel economy implies more bang for the buck, and as long as consumer want is there, it makes sense to offer it. While nothing is guaranteed yet, Nissan is expected to make the move. The Nissan Frontier Diesel was designed to “test the market waters” so to speak, but it’s evident there’s a consumer demand for more fuel efficient vehicles. Cummins diesel engines are opted-in on nearly 85 percent of deals for Dodge with their heavy-duty Ram 1500 model trucks. Dodge even went on record recently to talk about their longstanding relationship with Cummins. That leads me to believe that Nissan will go ahead and make the move they’ve secretly been working on since around 2010 (called ATLAS or Advanced Technology Light Automotive Systems). The 2014 Chicago Auto Show saw only a glimpse of the future and only got a taste of the potential technology Nissan is working on bringing out between now and 2016.